If you really want to experience Croatian hospitality, a Croatia sailing tour with skipper is your best choice. If you plan your sailing noliday in Croatia, we can help you book one our beautiful yachts and offera professional skiper for your tour. If you feel unskilled or you don't own a valid boat license, just take our sailing in Croatia with skipper package. Simply choose your desired destination (Split, Dubrovnik, Zadar, Istria, Trogir, Krk,...), preferable dates and send us your inquiry. We will be happy to recommend a suitable itineraries, which doesn't mean, that your skipper will tell you what to do and where to go - on the contrary - you will be in charge of your itinerary, and every-day dynamics to meet your needs. Skipper is here to reasonably and objectively help you about your sailing route, to estimate the crew's abilities and suggest the daily dynamics considering your wishes and current weather conditions. It is essential to leave your worries at home and enjoy in this amazing sailing trip. All our Croatia skippers are guys and girls from the Adriatic coast, who know how to sail the yacht for you. Experienced and fully aware of the local weather conditions, with the knowledge of the safe sailing areas, protected ports and marinas, they will guide you safely through your sailing tour. If you prefer, they can also suggest domestic taverns and culinary highlights along the route. 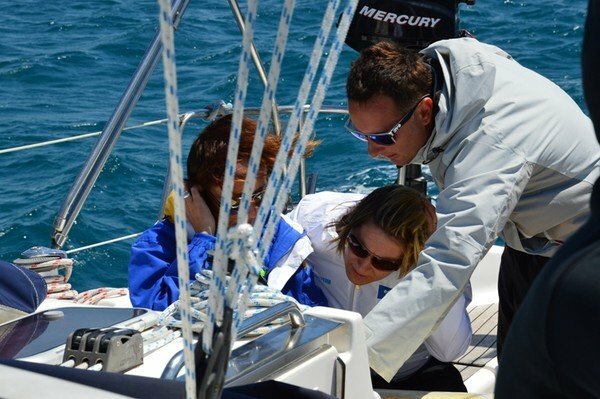 They have the necessary skills to recommend and adjust your sailing trip accordingly to your wishes. As you tour guide, he will take all the responsibility considering your safety at sea, so just relax and enjoy the ride. Sailing in Croatia with skipper is your unique chance to discover this stunning land. By hiring our skippered yachts you will get the chance to discover the highlights on your tour. Your skipper will give you best tips for your route itinerary and sail your yacht to some of then most stunning islands in Croatia. If you are looking for secluded coves, ancient villages, vivd island towns and authentic cuisine, they can first-hand recommend traditional cuisine in some of the best family-run restaurants. It is also expected that you take care for the skipper’s food and beverages. This means that the food supplies aboard are always big enough to appease a hungry mouth. Croatia yacht charter with skipper benefits?